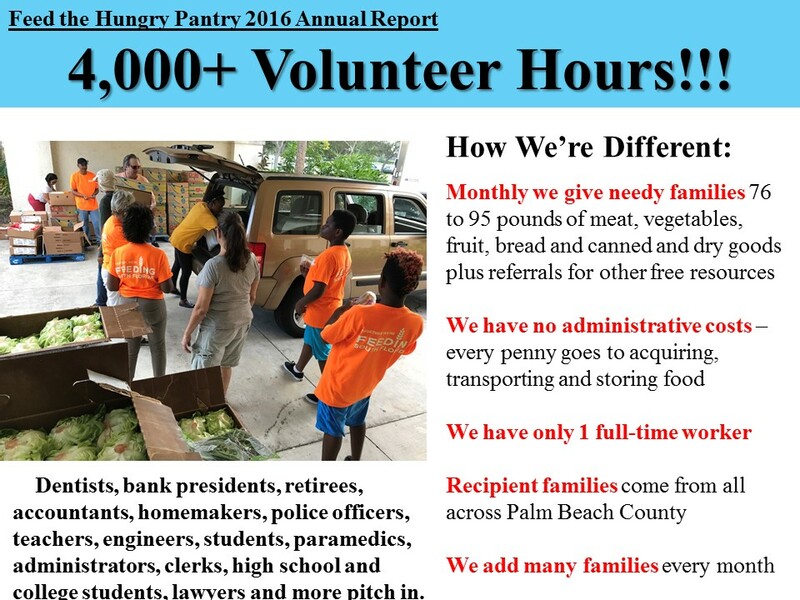 Click below to walk through our 2016 annual report...with help from people like you we were able to feed thousands of our hungry neighbors every month, about 6,300 families at Thanksgiving and Christmas and more than 25,000 people throughout the year. 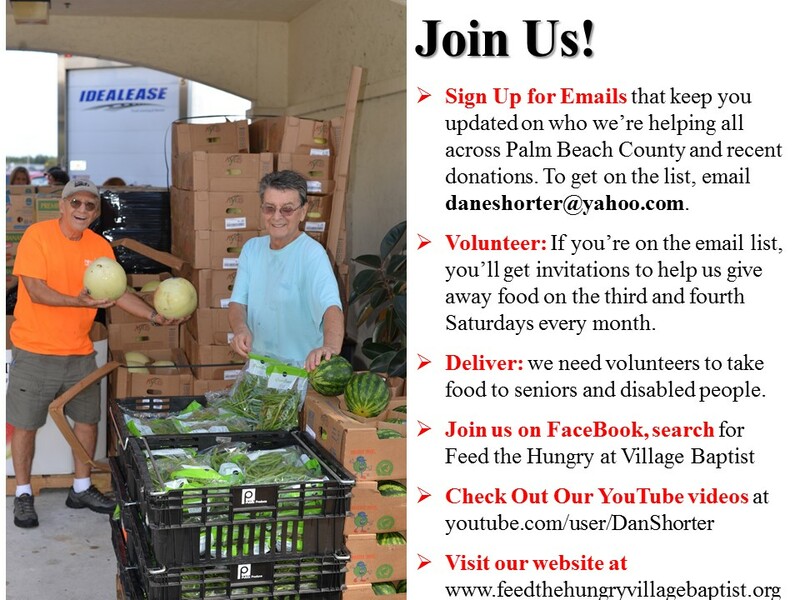 1 -- Email Dan Shorter at daneshorter@yahoo.com to be added to our email volunteer list so you can be invited to help on the days we are giving out food. 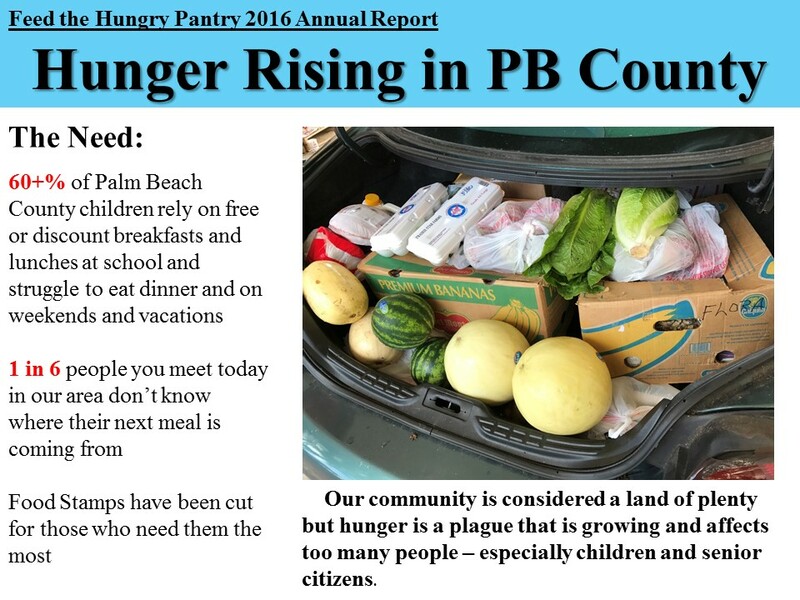 2 -- If you would like to hold a food drive at your business, organization or among your family and friends, contact Dan at daneshorter@yahoo.com or 561-398-2828, and he will provide instructions. 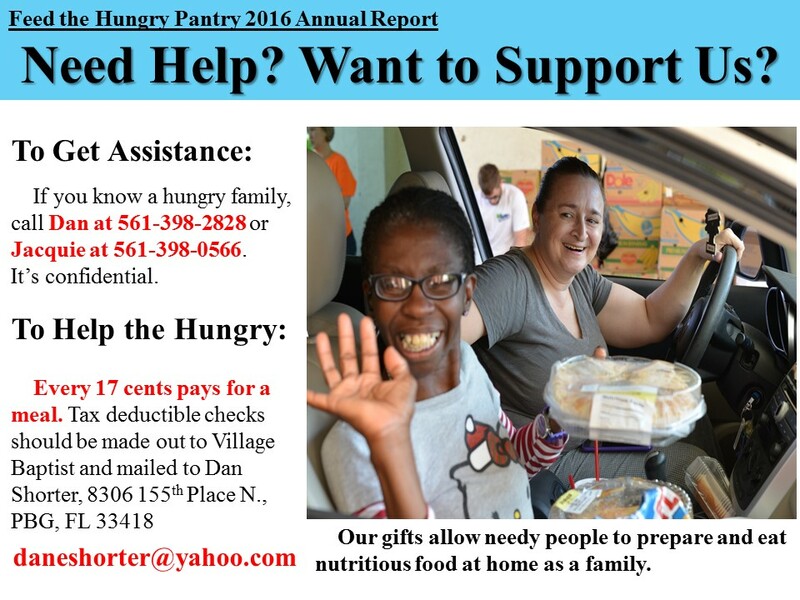 3 -- If you would like to help financially, make checks out to Feed the Hungry Pantry of Palm Beach County and mail to Dan E. Shorter, 8306 155th Place North, Palm Beach Gardens, FL 33418. 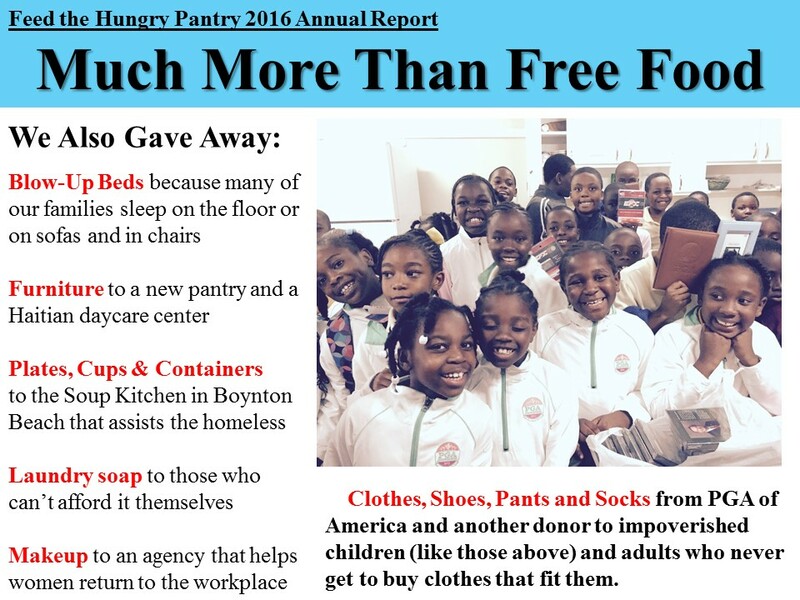 We are a 501(c)(3) charity and you will receive tax credit. 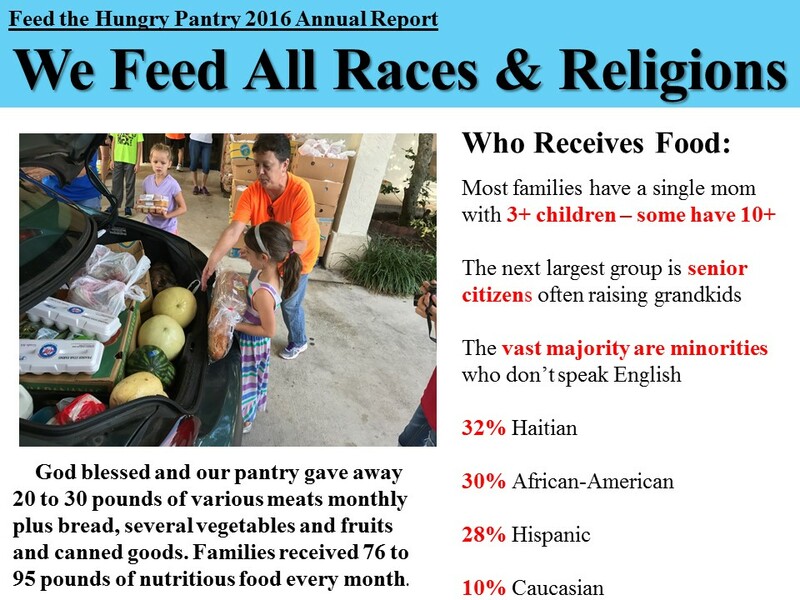 Since we are a mostly volunteer organization, every dollar goes to acquire, transport, store and give away nutritious food for the needy. 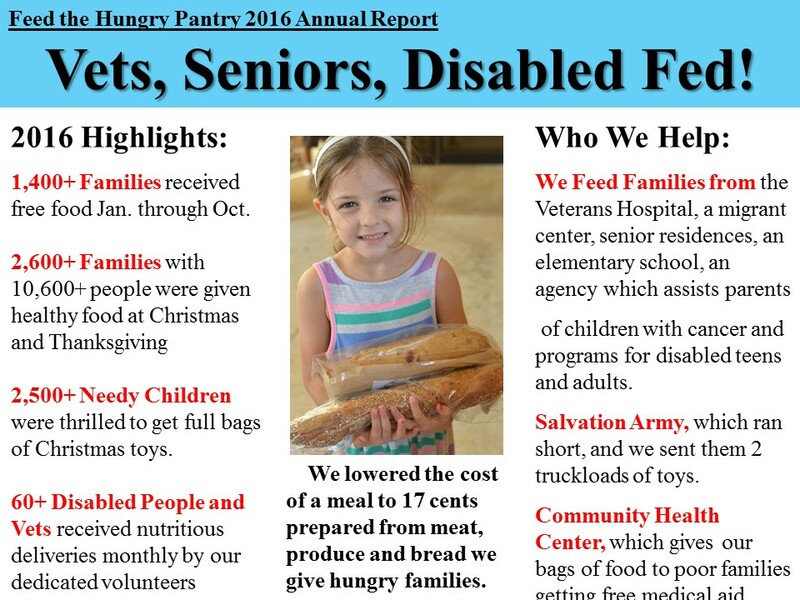 Every $10 feeds a family January-October and $40 per family at the holidays provides a family meal with meat and vegetables.